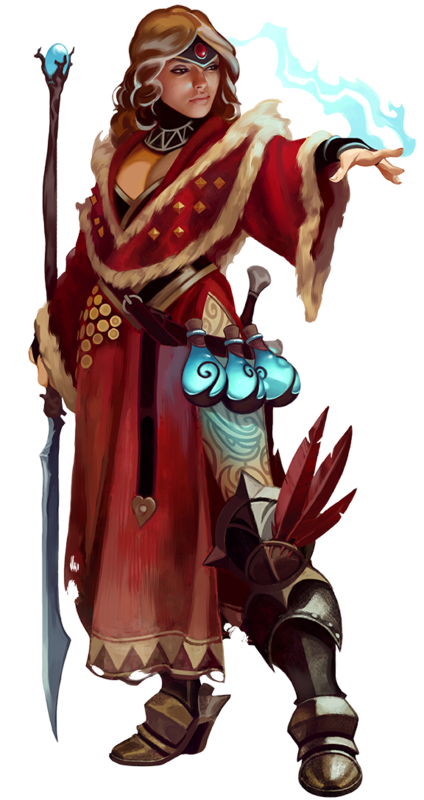 Our Dragon Age Set 3 Class Previews come to a close with the Mage. By higher levels, Mages in Dragon Age possess vast mystical power capable of destroying hordes of lesser foes. Where Warriors use martial skill and physical power and Rogues rely on finesse and stealth, the Mage uses their knowledge and will to bend magic to their will and fight off the dangers of the Fade. Mages get even more mystical power to call on. Spells like Death Hex, Inferno, and Earthquake as well as new magic school specific stunts will help high-level mages channel devastating power. New specializations come in the form of Shapeshifter, Force Mage, and Keepers. Shapeshifters can change into various beasts to give them close combat abilities they might otherwise lack. Force Mages possess an array of telekinetic and force powers that can shatter foes and protect allies. Keepers give elven mages a chance to utilize primal forces as only they can. Talents include Runecrafting, which lets a mage enchant items with powerful runes that provide a variety of effects. Bonus powers include the ability to fire off multiple arcane lance attacks or boost their affinity with schools or certain stunts even higher. Well, that’s it for our Class Preview. Hope you enjoyed a glimpse at just some of the things coming in Set 3 to help GMs and players move their play to higher levels. We’ll see you in Thedas!